The police in charge of Jorhat town, Gourav Chetia, on Monday addressed a large group of jittery rickshaw-pullers at the court field here to raise awareness of traffic rules and to caution them from plying without licences which would entail fines if caught. Earlier in the morning, a rumour had done the rounds that only about 300 out of 3000 odd rickshaws in the town, which had been issued licences by the Jorhat Municipal Board, would only be allowed to ply and that the rest would have to disband in favour of e- rickshaws. The Chairman of Jorhat Municipal Board, Jayanta Barkakoty, however, denied this and said that they had no plans to do so. Chutia said that the rickshaws had been asked to apply for licenses and they had sought time till after Bohag Bihu. “I told them that I was not authorized to allow them time and if anyone was caught plying without licences he would have to pay the penalty,” Chutia said. The poor rickshaw-pullers are in a quandary as 90 per cent do not have ownership of the rickshaws, renting it from others on a payment of Rs 40 to Rs 60 per day. “We do not know whether the owners will allow us to apply for licences in our names which might give us ownership rights. If they do not do it, we are not in position to pay hefty fines if caught. Ultimately, we will lose our means of livelihood. If this happens, one can be sure that crimes like dacoity and stealing will increase,” a rickshaw-puller on condition of anonymity said. It may be mentioned that in Jorhat, there are several individuals who own and rent out between five to more than a 100 rickshaws and only a few rickshaw-pullers have their own rickshaws. Another puller said that buying an e-rickshaw which costs about Rs 180000 which was impossible for many of them. Holding up a parking ticket he further said that the parking fees had been raised on Monday from Rs 10 to Rs 15. This was affirmed by JMB which said that the fees for all categories of vehicles had been raised by Rs 5. 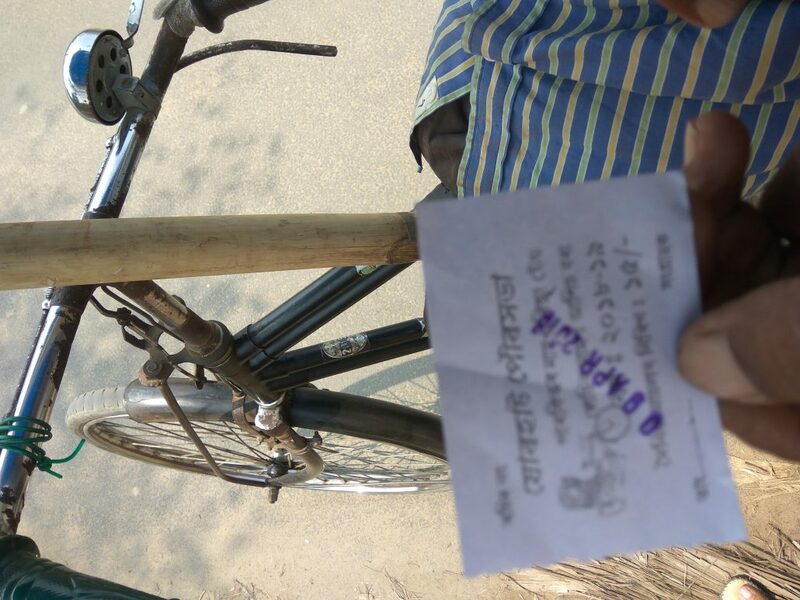 This meant that a rickshaw-puller had to pay the same amount as an owner of an SUV. In the meeting, Chutia asked the rickshaw-pullers not violate traffic rules by jumping red lights or crossing the zebra-crossings and also not to park haphazardly on road sides or no parking zones.